Charming, convenient location and very friendly and helpful staff. loved everything about this hotel! The peanut butter and jelly bar at 10 pm every night was amazing! 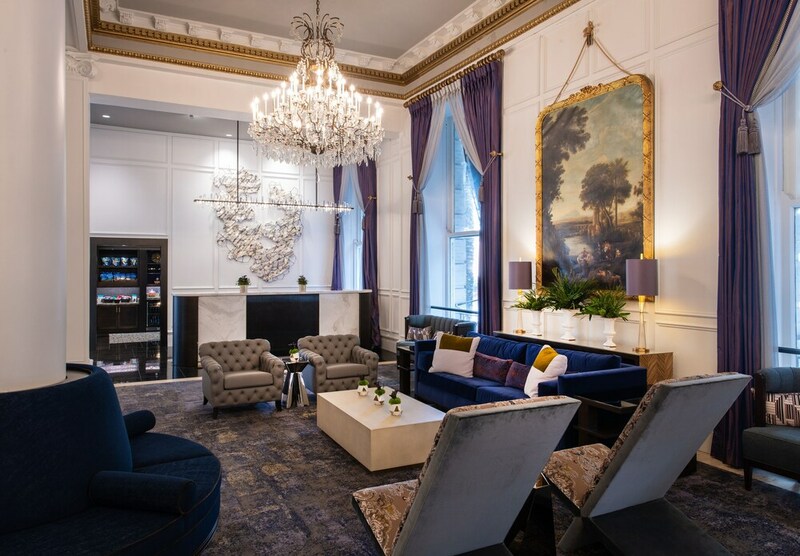 Beautiful grand hotel, gracious hosts, perfectly located in the business district on the edge of the French Quarter, our stay there made our vacation memorable. Great hotel. Within walking distance of Bourbon St, Harrah's Casino and Riverwalk. Rooms clean, staff very friendly and helpful. Great, southern hospitality! Clean rooms, friendly staff, and loved the hot choccolate and sandwiches at night. Also, it's feu close to the french quarter and located very close by the Superdome, and other major tourist attractions. A classy joint and in the heart of Nawlins. I will stay there again for sure! This is our second stay here (the first time was three years ago). They have gone through a 25 million dollar renovation since the last time we were here. The location is great (on the edge of the French Quarter, so less noisy) and is walking distance to the French Quarter, Warehouse District, the World War II museum and the Superdome. The staff is very friendly and there is excellent service. The rooms are very comfortable and well accommodated. There is breakfast served in the restaurant, free coffee available in the lobby all morning and a Peanut Butter and Jelly happy hour from 10-11 pm. The bar serves food in the evening but there is no lunch or dinner served in the restaurant. There is a parking lot with valet service immediately adjacent at $40 per night. We would definitely stay here a third time. The staff was great considering the traffic at the hotel at that time however, we waited over an hour to get into our room after check-in time. It was New Year’s and the Sugar Bowl going on and the hotel was not prepared for the amount of people that was in town. Located in Central Business District, Le Pavillon Hotel is within a 10-minute walk of popular sights such as Lafayette Square and St Patricks Church. This 226-room, 4-star hotel has an outdoor pool along with free in-room WiFi and a fitness center. Enjoy a leisurely bite to eat at the onsite restaurant, or have a drink at the bar/lounge. Savor a meal from the comfort of your room with 24-hour room service. Start each morning with buffet breakfast, available for a fee from 6:30 AM to 10 AM. Guests can expect to find free WiFi and 46-inch a flat-screen TV with cable channels. Pillowtop beds sport premium bedding and the bathroom offers a hair dryer and designer toiletries. Other standard amenities include a refrigerator, a coffee maker, and free newspapers. Guests of Le Pavillon Hotel have access to an outdoor pool, a fitness center, and free WiFi in public areas. Valet parking is offered for USD 39 per night. The front desk has multilingual staff standing by 24 hours a day to assist with dry cleaning/laundry and luggage storage. Other amenities at this boutique hotel include express check-out, free newspapers, and wedding services. Recreation features at Le Pavillon Hotel include an outdoor pool and a fitness center. The preferred airport is New Orleans, LA (MSY-Louis Armstrong New Orleans Intl. ): 21-min drive, 14.8 mi/23.8 km.